Batman: Arkham Origins Blackgate -- Combat Gameplay byMachinima Trailer Vault. 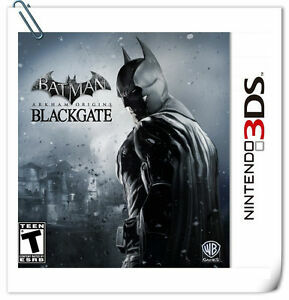 Batman Arkham Origins Blackgate[3DS]Unboxing Gameplay byTheVTech. Fresh off the press we have Batman: Arkham Origins, developed by WB Games Montreal.